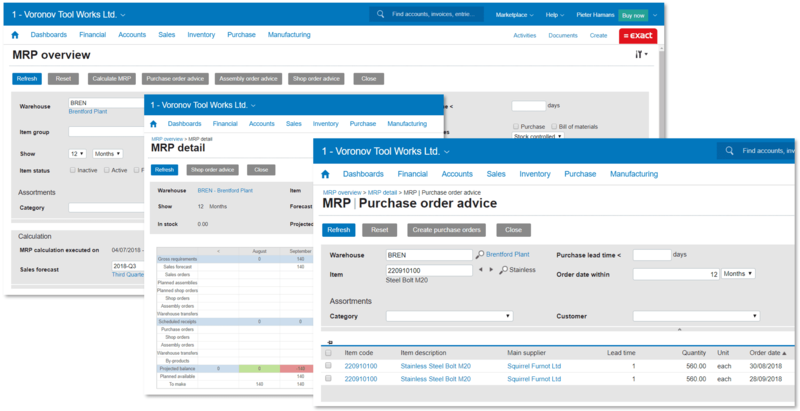 Exact Online for Manufacturing Premium has been developed for small to medium repetitive manufactures who require advanced material planning. It makes up the third edition of Exact for Manufacturing: Standard, Advanced and now, Premium. Let’s look at the purpose and content of Premium. Who is Exact for Manufacturing Premium for? Repetitive manufacturers. 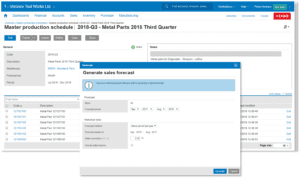 Those who create shop orders from sales orders or sales forecasts using the bill of materials and the (current) in-stock quantities. With Premium, we can generate time phased shop orders (for example: this week’s, next week’s). 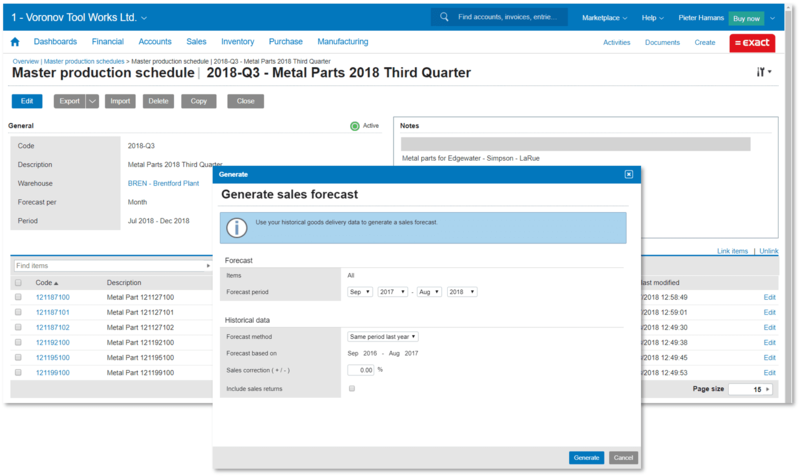 Also, we can base our shop order generation (and even purchase order generation) on sales forecasts. Furthermore, if we want to produce in a configure to order model, it is possible to build components to stock based on a Master Production Schedule, while building customised end-products to order. Repetitive manufacturers often need to make efficient use of warehouse space. With Premium, keep the same item in different storage locations. This makes efficient use of space easier. So does the ability to store and retrieve items of a particular serial/batch number in order to pick by expiry date. Multiple storage locations per item is also supported in the REST API – this makes it easy for businesses who offer warehouse scanning applications to connect to the their Exact Premium data. Users of the Smart Shop Floor app connected to an Exact for Manufacturing Premium subscription can issue and receive items from and to any of their storage locations, including serial/batch items. Lastly, as repetitive manufacturers often have more governance structure in their organization, they might want to implement approval steps for quotations and sales orders. Meaning that applied pricing, committed quantities and delivery dates must be validated by a designated person in the company. In addition, the Smart Shop Floor app can issue material from inventory to shop orders from a chosen storage location, and receive products and by-products from shop orders to inventory on a chosen storage location. Each inventory item is stored on one or more storage locations, provided that the used warehouse is using storage locations. 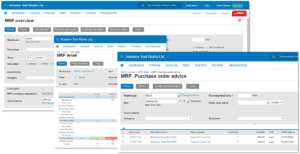 Assign rights to users to approve quotations and sales orders. Prevent unapproved quotations and sales orders from progressing to printing/confirming.